Please join me in welcoming Susie Murphy to Let Them Read Books! 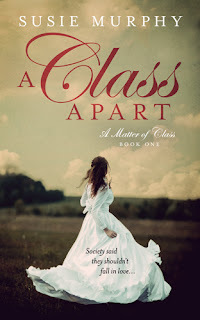 Susie is touring the blogosphere with A Class Apart and A Class Entwined, the first two novels in her A Matter of Class series. 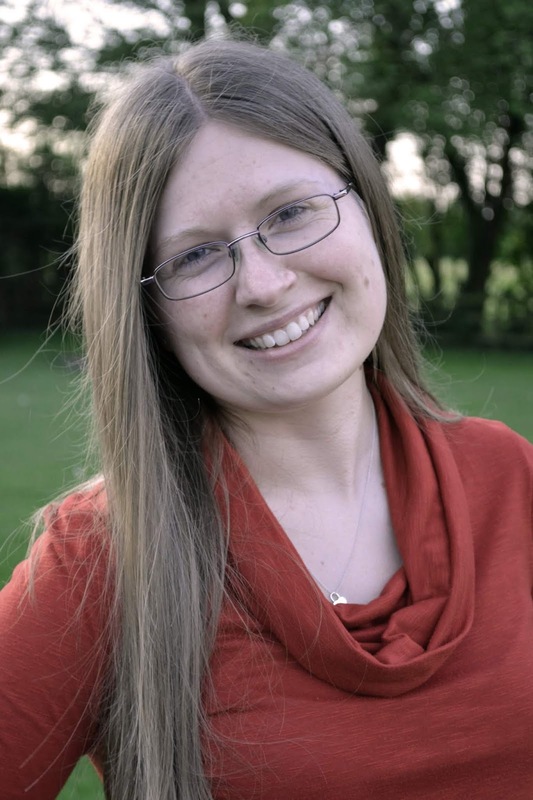 I'm pleased to have her here today with a guest post about the history of the time period and the inspiration for her characters. Read on and enter to win ebook copies of both books! As an Irish historical fiction author, I feel very lucky that I hardly need to look beyond my own doorstep to find a wealth of inspiration for my novels. I have always been fascinated by Ireland’s history, which has been turbulent to say the least. Ireland suffered occupation by the British for hundreds of years, beginning with the Norman invasions in the 12th century. These were followed by the Tudor conquest of the 1500s, during which Henry VIII proclaimed himself King of Ireland. Then there were the plantations of the 17th and 18th centuries where the land was taken from Catholic Irish landowners and given to English and Scottish Protestant settlers, generating a deep-seated resentment among the native people caused by British rule on Irish soil. In 1798, the Society of United Irishmen rose up against the British with the aim of gaining independence for Ireland. The rebellion failed and in 1800 the Act of Union was passed which created the United Kingdom of Great Britain and Ireland, giving Britain even more control over its small island neighbour. This tumultuous, often-bloody past created a dichotomy in our population: the upper class, wealthy, Protestant English landlords versus the lower class, poor, Catholic Irish tenants. Over the centuries, the gap between the classes grew ever wider. What a treasure chest for an author, right? For me, it’s not the violent risings nor the political machinations that intrigue me. It’s the individual people, the human stories behind the hard facts. So, instead of speculating on the politics that dragged Ireland through some of its darkest periods in history, I wondered about the people for whom that dark period was the reality of their lives. What impact would the fallout from the 1798 rebellion have had on a tenant family working on land owned by English people? Would their children have been raised to tolerate or hate the landowners? How might their children have behaved towards the landowners’ children? And what, the hopeless romantic in me wondered, might have happened if two people on opposite sides of that class divide fell in love? Thus, the characters of Bridget and Cormac slipped into my mind. They were fictional but they took hold so strongly that they felt like real people to me and I was compelled to tell their story. A Class Apart is the first book in my series A Matter of Class. I set it in 1828, just thirty years after 1798, so that the rebellion would still be fresh in my characters’ minds. It takes place at Oakleigh Manor, a grand country house in Co Carlow. Miss Bridget Muldowney is Anglo-Irish, heiress to Oakleigh Manor. The Anglo-Irish were descendants of the settlers from the plantations of the 1600s–1700s who, over the generations, began to identify as Irish while retaining English customs. The phrase ‘English in Ireland, Irish in England’ is credited to the Anglo-Irish novelist Elizabeth Bowen, indicating that the Anglo-Irish people didn’t feel like they belonged to either nation. So how might Bridget feel growing up on Irish land and making friends with the son of a tenant? Cormac McGovern is Irish, a Catholic tenant working as a stable hand on Bridget’s father’s estate. His grandparents were involved in the 1798 rebellion and his family still retains painful memories from that time. How might he feel about making friends with the wealthy daughter of an Anglo-Irish landowner? These questions demanded answers and Bridget and Cormac’s story gradually took shape. It eventually became apparent to me, however, that this was more than one book. A Class Entwined has become the second installment in the series. But with the rich historical backdrop yet to come further into the 19th century, there is still so much to tell. In fact, I now know that it’s going to take six books to complete this saga (if it will even be finished at that!). I have tried to bring as much authenticity as I can to the settings of my books. I am fortunate in that I spent so many summer holidays staying at my grandparents’ cottage in Ballyvaughan, Co Clare. Stepping into the cottage was like stepping back in time. In particular, I remember the fireplace: the fire crackling in the hearth, my grandfather dropping turf onto it, the distinctive smell of the burning turf, so earthy and satisfying. I imagine this must have been very much like the hearth in Cormac’s family’s small cottage and I’ve added such details to draw readers into his home. I am also lucky to have had the opportunity to visit places like Bunratty Castle & Folk Park in Co Clare and Palmerstown House in Co Kildare. To step across old floorboards and hear how they sound when they creak, to walk through the big halls of the main house and to climb the narrow servants’ staircases – I’ve used these experiences to help bring Oakleigh Manor to life and give readers an insight into the upstairs-downstairs culture of the time. The class struggle has played a huge role in Ireland’s history and is a prominent feature of my historical fiction series. Above all though, A Matter of Class remains at its core a love story. Susie Murphy is an Irish historical fiction author. She loves historical fiction so much that she often wishes she had been born two hundred years ago. Still, she remains grateful for many aspects of the modern age, including women's suffrage, electric showers and pizza. Susie's novels, A Class Apart and A Class Entwined, are the first two installments in her six-part series A Matter of Class, which begins in Ireland in 1828. To find out more, visit www.susiemurphywrites.com, where you can subscribe to Susie's newsletter and receive a free short story, When Class Began To Matter, which is a prequel to the whole series. 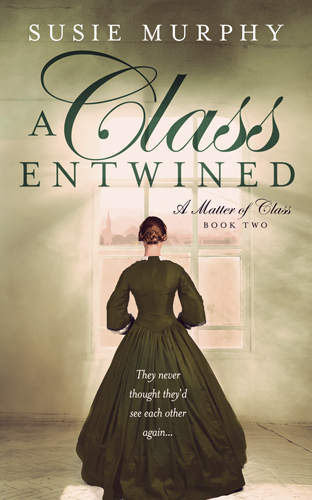 A Class Apart and A Class Entwined are on a blog tour! I don't know much about this time period in Ireland's history. I look forward to reading these books to learn more. We need more Irish historicals! Ireland is one of my most favorite literary settings! Hope I get to see it one day! I am very interested in reading this, a new histfic era for me! I've read several historicals in Ireland, but they were from earlier centuries. Here's to more histfic settings! I love historical reads for Ireland. We need more of them. This sounds like such an interesting read & series. Looking forward to reading both. And happy to have found another new Author here. I'm loving everyone's comments about Ireland as a histfic setting. It has such a rich history, it really gives an author a lot to work with!